Modern, high-tech hospital rooms balance increasingly complex treatment with a more patient-friendly setting. Illustration: Micke Tong. On the Holmes and Rahe stress scale, major personal injury or illness is the sixth most stressful life event a person can experience—one that in itself can contribute to stress-related health problems. A hospital stay can be unpleasant, even traumatic, but does it have to be? 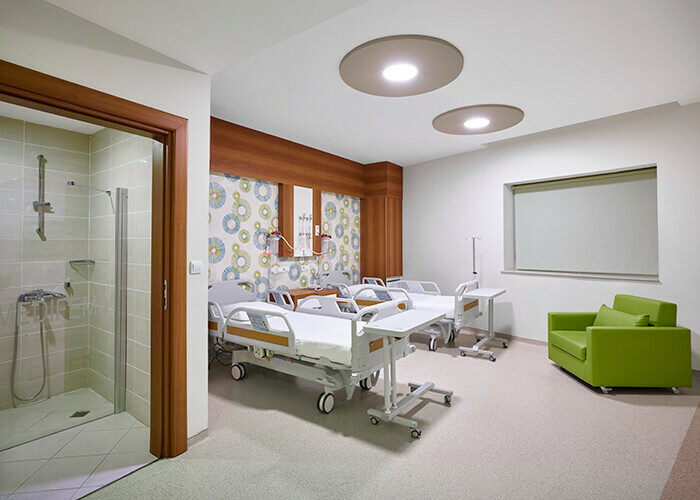 Before clinical staff provide essential care, it’s the task of architects and designers to design hospital rooms that are efficient for staff—and that can also create a comfortable, healing environment for patients and their families. The challenges of meeting these goals while complying with unbending health and safety codes are considerable. But as technologies and patient-care delivery evolve, new trends are emerging in health-care design to humanize the experience. 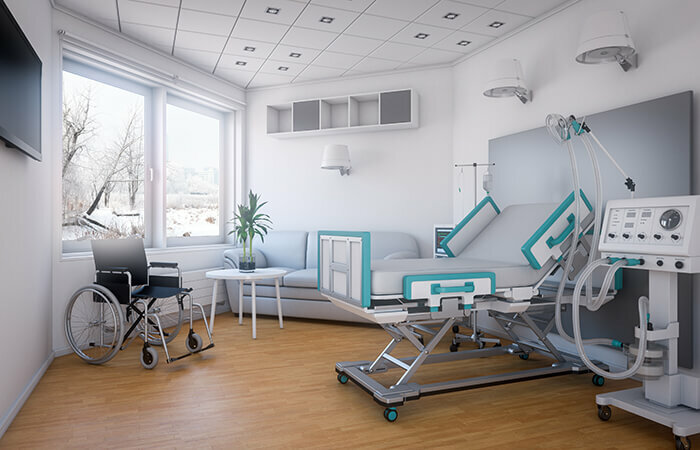 This means that new room designs need to be more flexible—and big enough to accommodate imaging and diagnostic equipment. “You want to bring services to the patient, like lab work, imaging, and dialysis,” Smith says. Her firm works closely with equipment manufacturers to obtain Autodesk AutoCAD blocks of the equipment so that designers can incorporate the exact dimensions and required clearances for the equipment. While meeting medical needs is paramount, small steps toward making patients comfortable go a long way. Managing patients’ mental well-being can be tricky. Feeling out of control is one of the most difficult aspects of hospital stays, with nurses coming and going and patients at the mercy of a labyrinthine care system. Thinking up design solutions for patients to take back control of their environments, even in small ways, improves their experience. See why virtual reality can lead to better design. “Allowing patients to control the lighting in the room makes them feel more engaged in their environment,” says Xiajun Lin, a senior health-care architect at OCULUS Architects. This can be achieved through dimmable light fixtures and remotes that can control both lights and window shades. 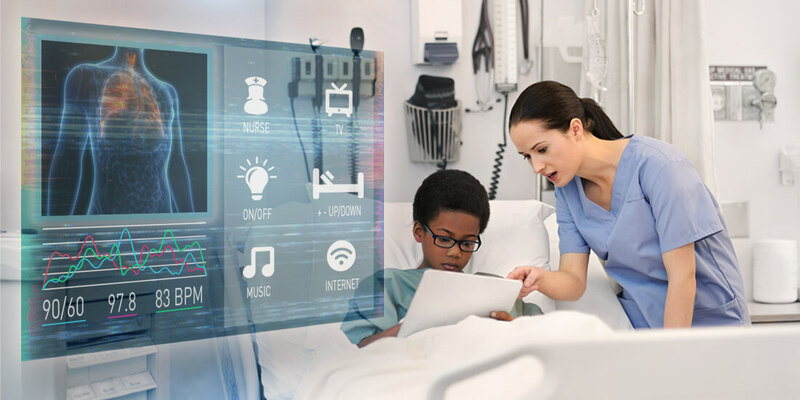 “Getting all the controls for things like lighting and entertainment coordinated on a handheld device is the going trend,” says Smith, who works closely with electrical engineers and lighting product representatives to transfer that control to the patient’s fingertips. Virtual-reality mockups can be used to redesign existing medical spaces without intruding on their operation. Courtesy Micke Tong. Many design features for infection control are mandated by health and safety codes, such as the location of a hand sink, preferably near the door, so nurses can wash their hands every time they enter and leave. Another code requirement is to maintain negative air pressure in the room so that contagious air doesn’t spread into the corridor. But beyond meeting code requirements, it is still up to the designer to make sure that the room is well organized for staff. “You want to make sure that you don’t impede the nurse’s line of sight, that medical gases are within easy reach, and that medical waste containers are well-located, among other considerations,” Lin says. She gathers input by meeting with staff in the programming phase of the project and after the project is complete. “Post-occupancy studies allow us to learn ways to improve design by looking at how the rooms are actually used after they are built,” she says. Modern room designs emphasize spaces for family caregivers. 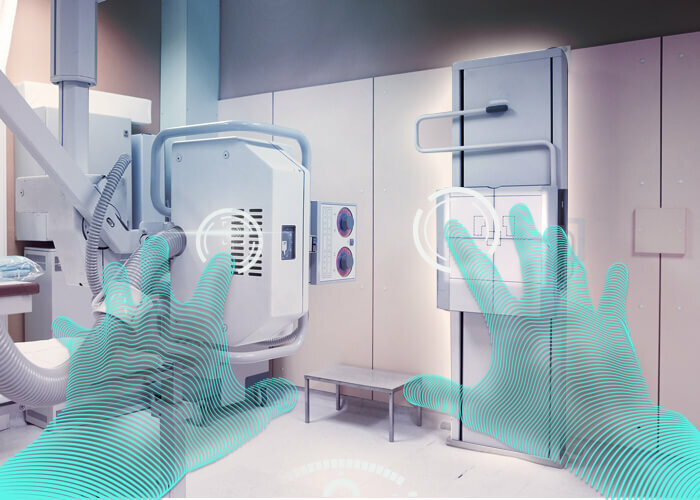 Spending time in a hospital may never become completely stress-free, but by using tools such as VR, staff interviews, post-occupancy studies, and close collaboration with engineers and equipment manufacturers, designers are aiming to elevate the experience for everyone.